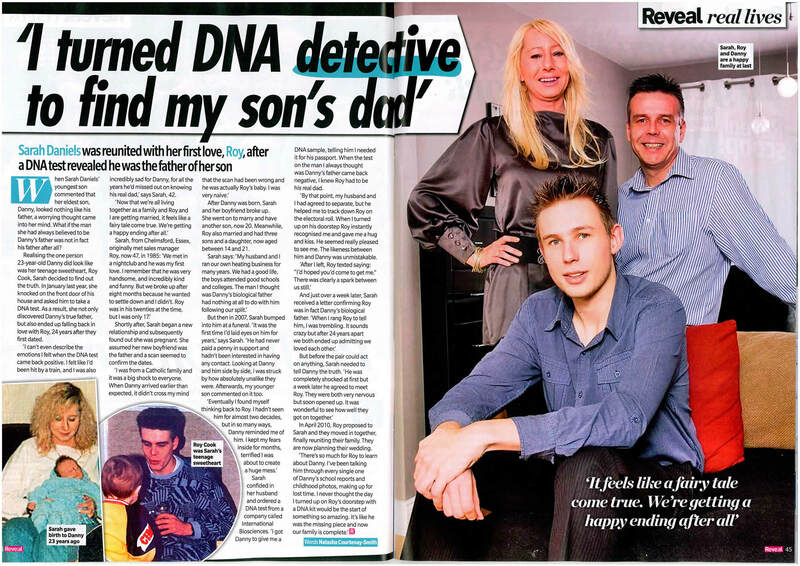 DUBLIN, Ireland – May 21, 2011 – Sarah Daniels was reunited with her first love, Roy, after a DNA test revealed he was the father of her son. When Sarah Daniels’ youngest son commented that her eldest son, Danny, looked nothing like his father, a worrying thought came into her mind. What if the man she had always believed to be Danny’s father was not in fact his father after all? Realising the one person 23-year-old Danny did look like was her teenage sweetheart, Roy Cook, Sarah decided to find out the truth. In January last year, she knocked on the front door of his house and asked him to take a DNA test. As a result, she not only discovered Danny’s true father, but also ended up falling back in love with Roy, 24 years after they first dated. “I can’t even describe the emotions I felt when the DNA test came back positive. I felt like I’d been hit by a train, and I was also incredibly sad for Danny, for all the years he’d missed out on knowing his real dad”, says Sarah, 42.